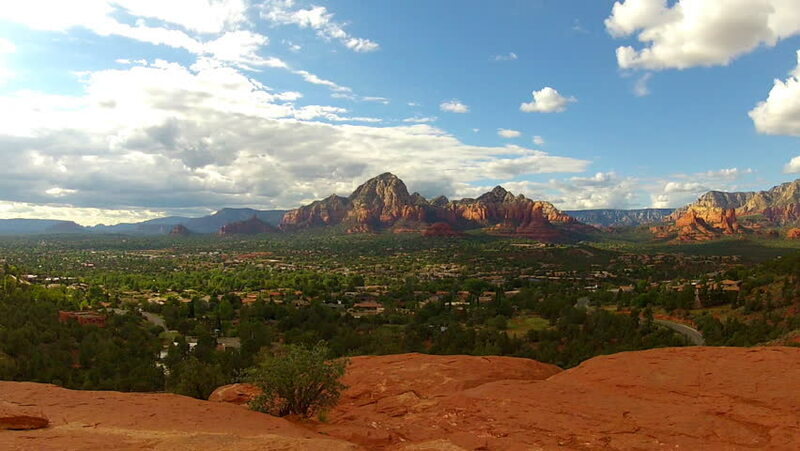 High and wide shot of central and south Sedona Arizona. Clip provides for a grand view of colorful rock formation mountains in the Southwestern United States. hd00:14Still shot of tall red rock cliff and adjoining red rock formations with clouds drifting by in time-lapse motion in background.